ReasonableGaming: What Makes a Game a Classic? A while back, I wrote about Nintendo and its efforts to find its next One Game for the Wii U. When you think about it, that's one big difference between the Wii U and the 3DS. The Wii U has great games, but the 3DS has Classics. Why do I make that claim? Perhaps it's best to examine what makes a game a classic. (By the way, feel free to comment. I could use some good minds to bounce ideas off of) When we think about the classic games of older generations, you tend to think of only a few titles. They also tend to be normally only one game per series (games that aren't true sequels can buck this trend like in Final Fantasy or Legend of Zelda). In these titles, there is something spectacular about them. Yes, most of them are innovative, but some are actually the perfect realization of an earlier game (like Crash Bandicoot 2, Mega Man II, or Mega Man X). Just because a game is fairly innovative and unique, it doesn't mean it will achieve classic status. Captain Toad: Treasure Tracker is a neat game and twist on the Puzzle Genre, but as I mentioned before, I don't hear of people clamoring for a Wii U just to play it. 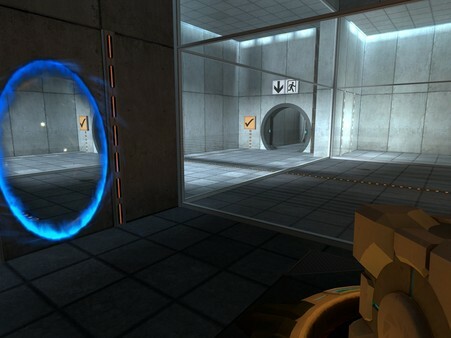 In contrast, Portal became a phenomenon that made a lot of people call in sick in anticipation for its sequel. Both are fairly unique puzzle games but Portal makes you want to replay through its appeal. Captain Toad, on the other hand, has the puzzle genre problem. Once you solve the puzzle, you remember the solution and so replaying doesn't feel as satisfying. Portal, though, has a mastery element to it and gives you a feeling of success as you play again and again. That mastery element is key to crafting a classic. Some gamers seek challenging games, but even the seemingly simple game can have levels of mastery. Pokemon Red and Blue could be beaten by anyone, but those who wanted to be the very best were free to do so. 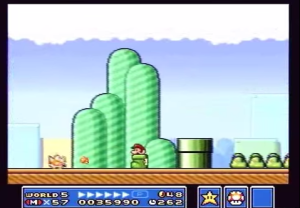 Similar could be said of the original Super Mario Bros. Many people who enjoyed it probably never beat it, but they loved it and those who wanted to go further could do so. Because that game has become so ingrained in our culture, we forget that it's actually a fairly difficult game. Speaking of Super Mario Bros. that game is essentially the key to every classic title. There's a reason why people talk about it so much and why it could be played on almost every Nintendo platform since. It is the classic of classics. The first level is referred to as the best example of how to do a first level. Its design is set so that you learn the mechanics quickly and yet at your own pace. The music is so catchy that even those who never played it would recognize it. However, you don't need to listen to me go on and on about that game, just to see the lessons you could learn from it and other great titles. When I say mastery is key, I mean it. This is because a classic game is not only easy for beginners to pick up, it does not insult the intelligence or capability of those who wish to master it. 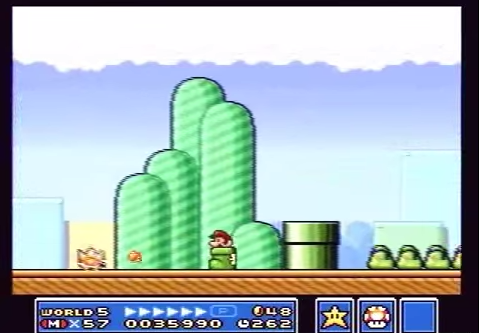 Super Mario Bros World 1-1 is essentially a tutorial level but not many would realize it. Likewise, the original Legend of Zelda allowed you to figure things out on your own, placing you in a safe environment but allowing you to explore despite how dangerous it is to go alone. Ocarina of Time also made it quick and easy to pick up and play while Twilight Princess took ours before you finally felt like you were playing. Another important characteristic of classics is they stick to their core gameplay. This is one of the faults of Skyward Sword; a good game, but packed too much side content and made it mandatory. This distracts from the core gameplay and makes it a barrier for those who who want to replay. For example, the silent realm may have been a neat concept, but it stresses me out and the main reason why I haven't replay it. A characteristic of classics is that even when you lose all of your data, you want to play it again. Even if you can't beat the game, you are fine playing it again and again. I remember not being able to progress far in Super Mario Bros. 3 but I also spent many joyful hours replaying the first world over and over. And that boot level... who could ever expect the amount of joy that comes from one level? So what games does the 3DS have that I consider classics? It would be cheap to call Ocarina of Time 3D a classic since it's really an N64 classic but the 3D version is still great game and, in my opinion, the best version for someone to pick up. As for classics that originate on the 3DS, Kid Icarus: Uprising is the first I think of. The second and possibly my favorite original 3DS title is Fire Emblem: Awakening. While both latter have a considerable amount of content that is online based, meaning they will be lost after the internet support is gone, they have plenty of gameplay and enjoyment within their built-in single player campaigns. Even without their online components, I would not find it difficult to recommend either of those two games. What do you think? This certainly isn't a perfect view because through this, I wouldn't consider Metroid or Metroid Prime as classics. However, those are highly regarded as classics so perhaps I am too picky in my assessment.